This aggressive composition reminds us of the contradictions that exist in our world. 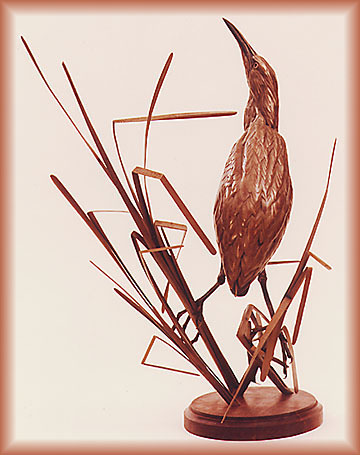 The Bittern is surrounded by a composition of sharp angular reeds while gazing skyward, as if in trance. This posture and frozen position offers a degree of camouflage that is a natural defense mechanism for the bird. The poetic nature of the structure suggests a the eternal struggles between eminent danger and safety.